Professionally maintained, single owner lightly used Majesty 105, with a range of A range of 800Nm she is the perfect Mediterranean long-range discovery vessel. 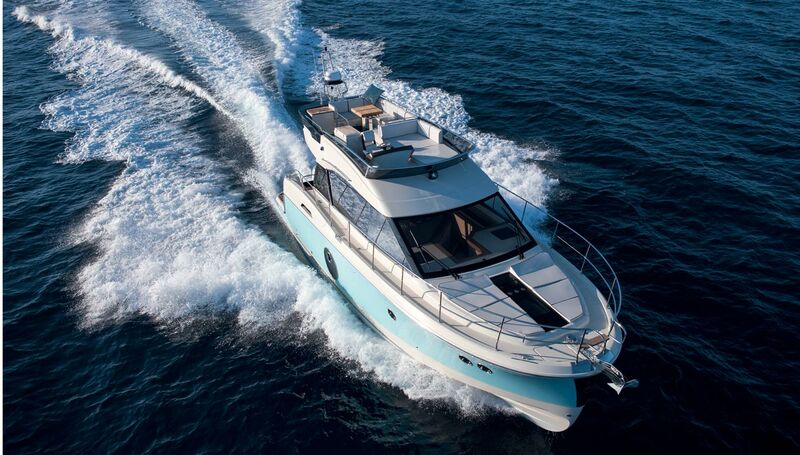 A lightly used, privately owned and beautifully presented example of the tri-deck semi-displacement Gulf Craft Majesty 105 from 2013.5 en-suite cabins including an impressive main deck master suite, LE MUST is able to accommodate 10 guests. 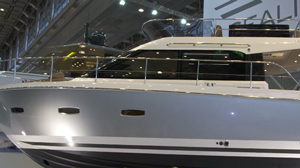 The amazing full beam master cabin is available for the owner on the upper deck with direct access on the main deck. 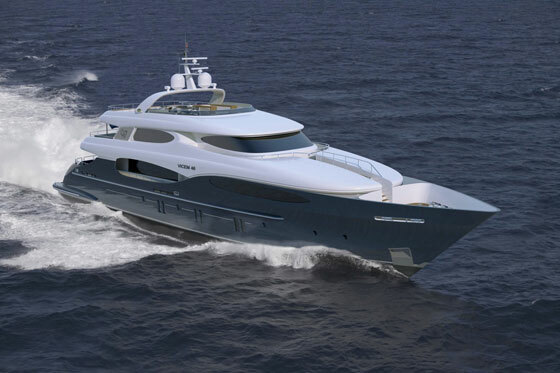 A huge full beam forward head is available for the owner with a big Jacuzzi. The second Jacuzzi is available on private upper deck sky lounge plus an extensive outside dining/relaxing areas aft is available. 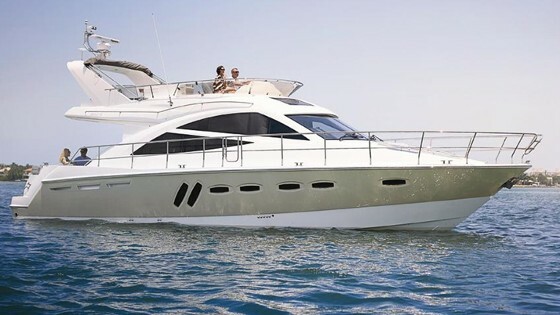 The Majesty 105 is characterised by its extensive exterior space and luxurious interiors, which include an elegantly designed main saloon and dining area. Its main deck offers breathtaking views through its intelligently designed large windows, allowing ample natural sunlight to flow through the interior. 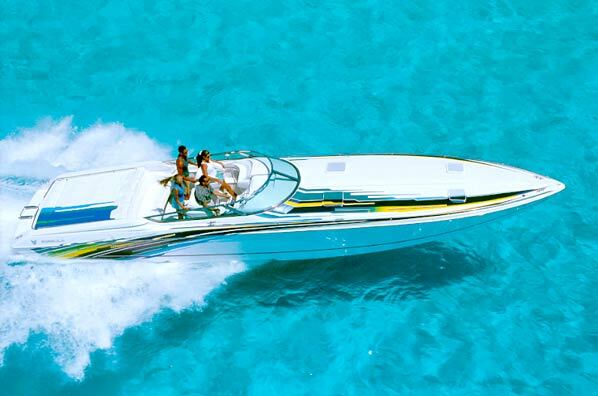 Its spacious outdoor entertaining and lounging areas make it perfect for those who enjoy spending time admiring the coastline while island hopping, or to catch all the action while moored alongside the waterfront. 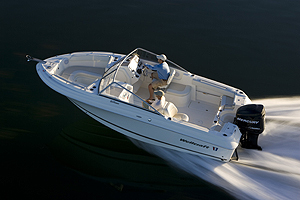 Gulf Craft has served the aspirations of passionate boating enthusiasts for more than three decades. The award-winning manufacturer is one of the world’s leading superyacht shipyards, a merit it has achieved through continuous investment in research and development. Founded in the Emirates in 1982, Gulf Craft continues to redefine the on-water living experience with its wide variety of premium craft, ranging from 27 feet to 175 feet in length. Deploying advanced technology, powerful engineering, timeless design, and world-class craftsmanship, Gulf Craft builds each innovation to create memorable cruising experiences for its discerning clientele, transforming travel by sea into a journey worth indulging in. With an expanding portfolio that includes the enchanting Majesty Yachts, the long-range Nomad Yachts, Silvercraft fishing boats and family cruisers, and Oryx sport yachts and cruisers, Gulf Craft has built an enduring legacy. Caterpillar C32 Acert 12 cylinders 4 stroke cycle diesel - 2 x 1902hp @ 2300rpm. Hot water boiler tanks via 220v immersion heater element. walkway, stairs to wheelhouse and dumb-waiter - kitchen with stairs to crew area. Upper deck: pilothouse with desk and sofa - saloon with furniture and dining table - lavatory area with sink and dumb-waiter - bathroom. Sun deck: Jacuzzi - second control station and sunbathing area. Lower deck: 2 VIP cabins with bathroom, 2 guests cabins with double beds and bathroom. Crew area: dinette with furniture - Captain’s cabin with bathroom - 2 cabins with bunk beds with bathroom - Laundry.